Sean Brillant joined CWF as the Manager of Marine Programs in 2010, leading the overall development and delivery of the marine conservation program and representing CWF’s position and interests in marine conservation to the public, the government and other partners. Sean attended the University of New Brunswick and completed his BSc in marine biology and his MSc in pollution ecology. He is a graduate of the University of Sydney, Australia, where he did his PhD in experimental marine ecology at the Centre for Research on Ecological Impacts of Coastal Cities. 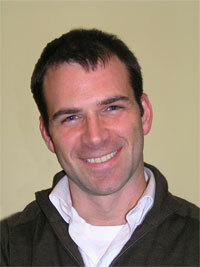 Following his PhD, Sean was a WWF-Canada postdoctoral fellow at Dalhousie University. He developed a movement model for right whales to predict where and when they might be at risk of entanglement. Sean is also a former Executive Director of Atlantic Coastal Action Program Saint John, a non-profit environmental management organization in New Brunswick and has taught university courses for several years. Sean is keenly interested in the natural world and always enjoys opportunities to watch, photograph and learn about all sorts of wildlife from the large obvious species to the more hidden 'creepy-crawlies'.